Does one enjoy regal Netflix drama The Crown? Then one must get oneself to Tottenham Court Road. 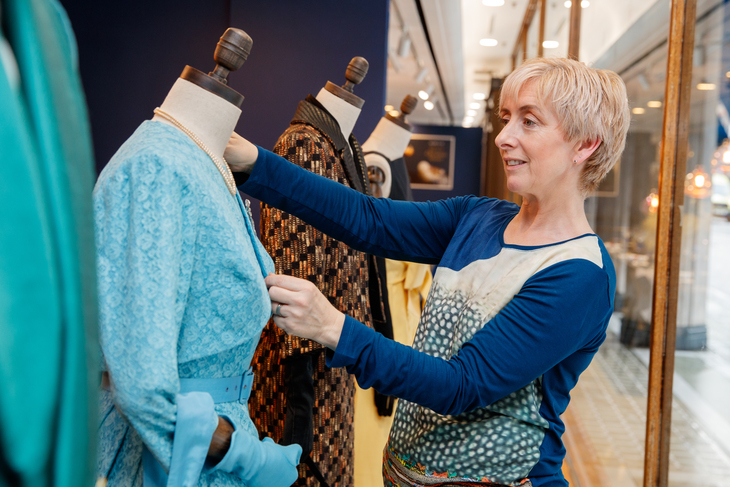 A pale blue lace and silk organza dress with a matching bolero jacket — as worn by Claire Foy AKA the Queen. 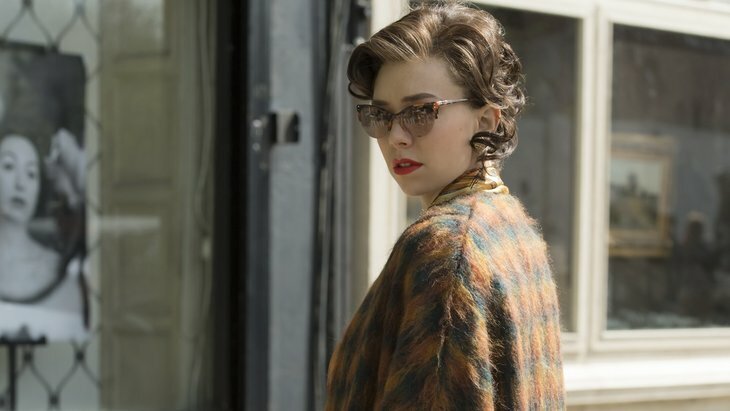 A matching skirt and jacket with a black silk blouse and suede gloves, belonging to the devilish Princess Margaret (Vanessa Kirby). The metallic silver and gold silk dress with large statement glass flower necklace and olive suede shoes, as worn by Wallis, Duchess of Windsor (Lia Williams). The costumes were designed Jane Petrie, who scooped the Emmy for Outstanding Period Costumes this year, for her work on the show. Heal's is also keen to trumpet its own ties with the royal family; in 1958 the brand was commissioned by Princess Margaret to make several pieces for her home, ahead of her marriage to Antony Armstrong-Jones. 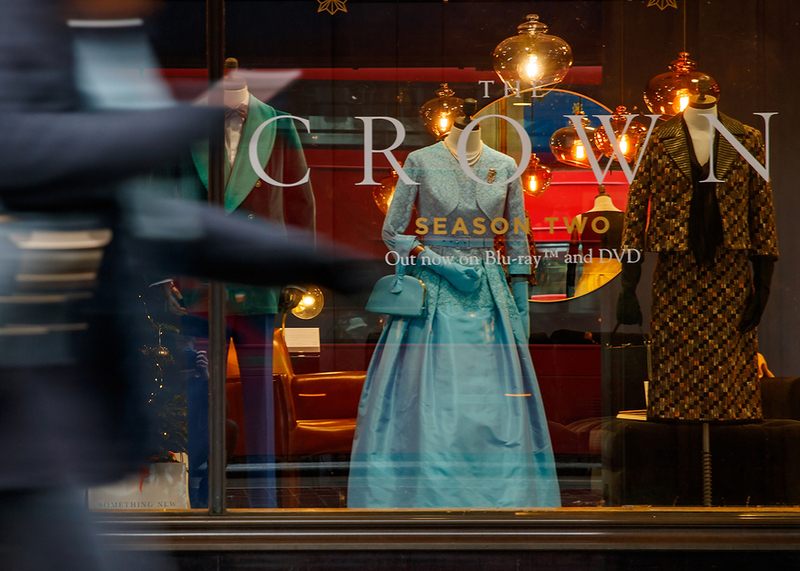 The costumes are available to view until 20 December. 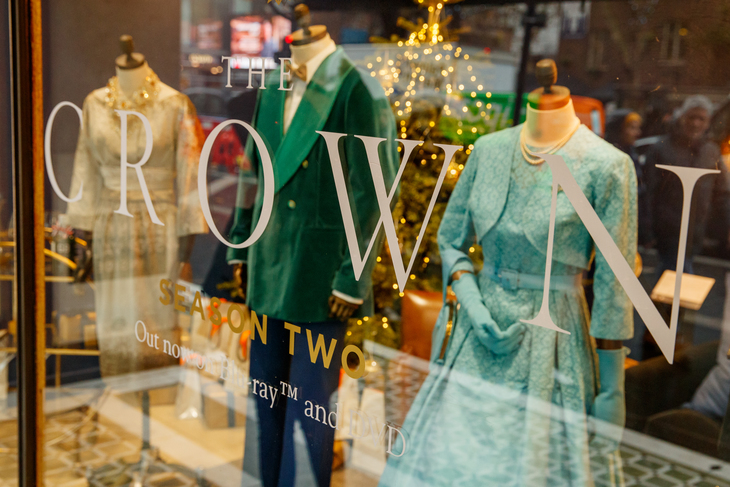 You can also buy season two of The Crown at Heal's.